The match is set to kick off at 8pm BST (3pm ET, 12pm PT) on Wednesday. This is the type of football match where 'friendly' is nothing but a word. The purpose of the International Champions Cup may be more about player fitness and bedding in new signings than silverware, but Arsenal and Chelsea have a long standing rivalry. And we'll tell you how to live stream it from absolutely anywhere. 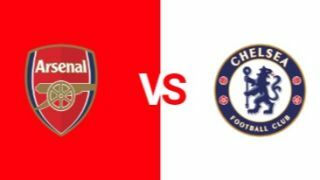 Both clubs are starting the new season with new managers in charge and both Arsenal’s Unai Emery and Chelsea’s Maurizio Sarri will be looking to set the stage for the start of the Premier League. Arsenal are entering the match off the back of a 5-1 win against PSG in Singapore on Saturday while Chelsea began the pre-season friendly tournament with a 1-1 draw against Inter Milan in Nice. Chelsea will be without a number of their World Cup stars including N’Golo Kante and Eden Hazard, though new signing Jorginho has already impressed teammates and fans alike with his abilities on the pitch. Emile Smith Rowe and Matteo Guendouzi are players to watch on Arsenal’s side. If you’re a fan of Arsenal or a fan of Chelsea living in the US, UK or anywhere else in the world, we’ll show you exactly how to live stream the Champions Cup online so that you don’t miss a minute of the action at this year’s tournament. The little-known subscription service Premier Sports has beaten all the other traditional UK broadcasters to the punch to grab the pre-season football action. You can subscribe for £9.99 per month for SD and HD coverage, or £99 per year if you have Sky and like the sound of its rugby union, rugby league and motorsport offerings, too. Premier Sports has an app as well, which lets you watch all this action on the go. And if you're actually out of the UK but have subscribed, you can always use a VPN to relocate your IP to a UK location and watch the match as if you were back at home. ESPN is the official US broadcaster of the International Champions Cup. Assuming you have cable, you'll be able to watch on ESPN either at home, online or on the network's app for tablets and smartphones. If you're a cord cutter, you can alternatively watch on another subscription service such as DirectTV or Sling - each of which has a free trial. 18 teams, two weeks, a league format...you may have guessed that this isn't your regulation kind of football tournament. Each team plays three matches with 3 points for a win in 90 minutes, 2 points for a win on penalties, 1 point for a loss on penalties and 0 points for a loss. Whoever has the most points when all the matches are completed is the International Champions Cup winner, with head-to-head being the tie breaker if the top teams are level on points.